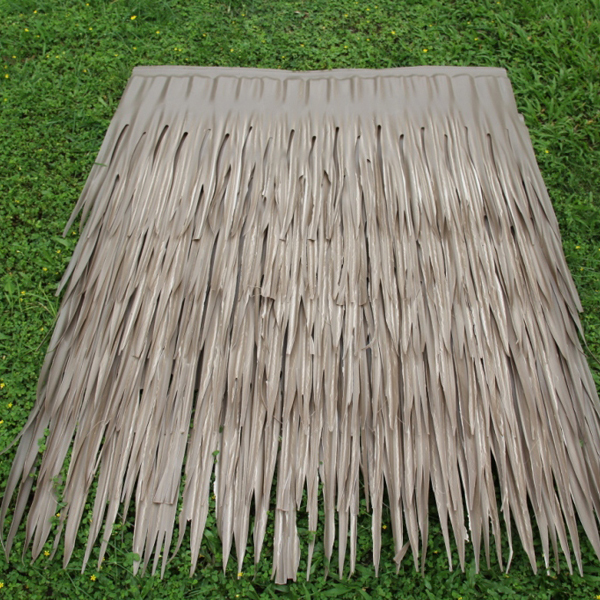 1. tahitian palm thatch comes with a 20 years limited warranty. 2. no special skills are required, easy installation. 3. maintenance free as palm thatch does not decay, shed or mold. 4. tahitian palm thatch is resistant to birds, termites and other pests. 5. palm thatch comes standard with an inherent class B1 Fire Retardant. 1. The normal size is 1000mm(L) x 650mm(W) x0.65mm(T). 2. Use 6 PCS in one square meter ,0.35kg/piece. 3.Color: Black , Deep yellow or others.